Great Plains Audio accepts Credit Cards, Cash, Checks, Money Orders, Cashier’s Checks, personal or business checks (must clear first), and PayPal. Be sure and include a letter stating exactly what you are ordering, how much you are paying for each item, and where you wish your order to be sent. State what you are ordering exactly, including the prices you are paying for each item. All customer orders for replacement parts shall be subject to the following terns and conditions in addition to Great Plains Audio’s standard terms and conditions of purchase in effect at the time of the order. G.P.A.’s credit terms, for established G.P.A. accounts, are Net 30 Days from the date of invoice. All orders are F.O.B. Point of Shipment, Transportation Collect. Claims for shortages or damages must be made within ten (10) days of receipt of merchandise. GPA reserves the right to modify, alter, improve, change, or discontinue any or all of the products listed herein. The list of products in this pricing schedule may be supplemented, and some products listed herein may be excluded for authorized distribution purposes. Get a price quote from GPA on the repair price for your item. Be sure to confirm that we can repair your item before you send it to us. Be sure and include a letter stating exactly what is wrong with your item, how much you were quoted that it would be to repair it, how you are paying for the repair, and where you wish it to be sent when it is finished. For payment instructions, refer to the information sent with your quote. All customers without an open account must pay for their repairs before we will ship their item back to them. Any items left over thirty (30) days without prior arrangements will be sold. You will be billed for the repairs made, subject to the “Terms and Conditions” found on the documentation supplied with your quote. Please pay promptly. We recommend shipping your loudspeaker in it’s original box, if at all possible. The original box your loudspeaker came in was designed specifically for shipping it across the country without being damaged. As a result, it is more robust than something that may look like it is just as good. Therefore, try to use the original box, if you still have it. If not, refer to the steps below. Wrap the loudspeaker in a plastic bag, and seal it with packaging tape. Find a box big enough to hold your loudspeaker with a space of 2″ all the way around. If you are shipping a woofers or two-way loudspeakers, it is best if you cut a wooden board to fit the inside dimensions of the bottom of the box, place the unit face down and centered on the board, and then screw it down to that board using ALL 8 mounting holes. Make the screws tight, but do not warp the frame – tighten them as you would the lug nuts on a car tire – alternately until they are good and tight. 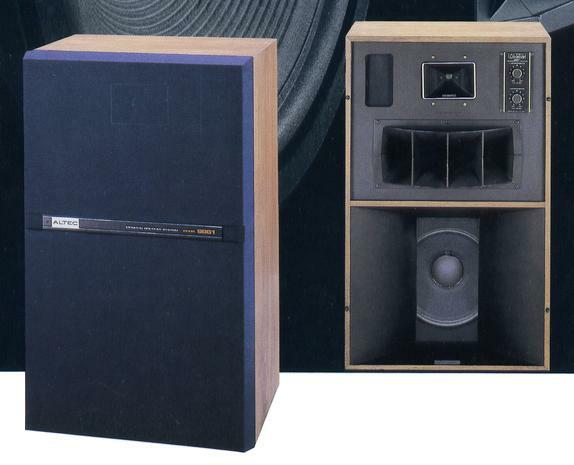 NOTE: On two-way speakers, be SURE you do not damage the HF horn – some of them protrude past the edge of the frame. You will need to cut a hole into the board for the horn to go into to prevent it from being damaged. If you are shipping a compression driver, make a 2″ thick piece of Styrofoam that will fit in the bottom of the box. You can also use cardboard. Place the compression driver face down onto the center of the Styrofoam piece. Insert the loudspeaker – attached to the bottom piece – into the box you have selected to ship the unit in. Make a thick Styrofoam or cardboard piece that is the same size as the bottom piece you just made that will fit inside the top of the box. Cut a hole on the middle of this piece that is just big enough to fit the end of loudspeaker through. Fit the top piece over the rear of the loudspeaker magnet assembly, making sure that it is nice and tight. Fill any gap that may exist between the top piece and the lid of the box with layers of bubble wrap.